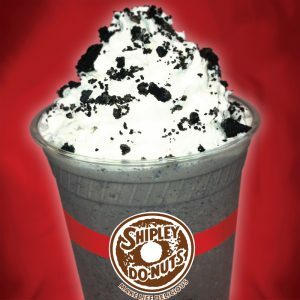 Shipley Do-Nuts Has a Full Coffeehouse Menu! You’re starting up a business, one that could make or break your career. Everything is falling into place. You have clients lined up, work is getting pretty steady, and you’re on the brink of something huge! Just one problem. 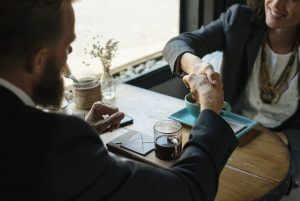 You need a place to interview your possible first employee and you don’t even have an official office yet! 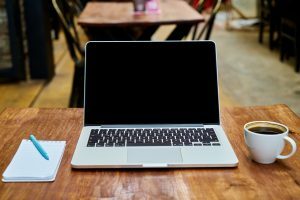 As you look at the resumes piling up in your inbox, you realize that you need to find a place for interviewing, AND FAST. Qualified candidates don’t stick around forever, and with all the work you’re getting you don’t have to time to clean the home office. So what do you do? Offer to host the interview at Shipley, of course! With our full coffeehouse menu, you can get the classic coffee you love and offer your employee candidates whatever they like, from espresso to smoothies and everything in between. You’ll put them at ease so they’ll be ready to show you what they can do. With our 24-hour location, you can get coffee you need at the hour you need it. You’re actually doing it! 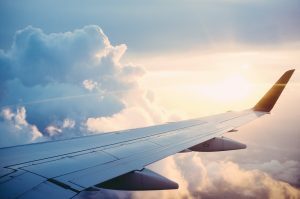 After years of saving and planning, you’re finally flying to Italy! You can’t wait to see the sites and taste real espresso! As you lay out everything the night before you realize something. You have to be up at 3 AM! “Who’s going to open at 3 AM? How could I have missed this!” As you pace around your house thinking of what to do, an idea hits you. Shipley! Not only would Shipley’s 12403 Westheimer location be open, they’ll have espresso! With Shipley’s new coffeehouse menu, you can put your taste buds in the Italian spirit with real espresso! Add some of our tasty donuts to the order and you have a perfect send-off for your Italian trip! Fuel-Up For Your Day Here! Shipley’s is the one-stop shop for all your Houston coffeehouse desires. You’ve just left the park with your son and his best friend. You all had a blast! Games of tag, kickball, and hide and seek. You’re ready for a big nap! And yet the boys in the back are still going strong. So strong, in fact, that anything you say is met with giggles. If you don’t get a latte fast these boys are bound to outlast you. That’s when you remember that not only does Shipley have the espresso you need, it has smoothies and drinks your son and his friend are sure to love. Shipley Do-Nuts, the one-stop Houston coffeehouse for all your energy boost needs. Study all day with Shipley Do-Nuts’ full coffeehouse menu. You’re about to leave Calculus 2 when your professor drops the bomb: not only is the final going to be on everything you’ve learned this semester; it’s worth half your grade! If you don’t do well on this test your scholarship could be dropped and your dreams will be dashed. How can you study knowing everything is on the line? By going to one the Houston coffeehouses that make your coffee just how you like it: cafe au lait style! With Shipley’s full coffeehouse menu you can get the all-day study fuel you need at a price your college wallet will love. Order latte after latte while you work. After years of hard work and nearly a hundred rejections, you finally found a literary agent! Even more exciting, they might have found a publisher who wants to publish your manuscript! Now comes the hard part: all those scary edits you have to make. Worse still, you have only weeks to edit what took years to write. And with all the noise going on at home there is no way you can concentrate! That’s when your agent suggests you tackle this at Shipley! You could order cup after cup of your favorite flavored latte while you work! And if the muse strikes at night, you could edit your manuscript at our 24-hour location to get the fuel you need, when you need it! Show your team you care with a full gallon of our locally sourced Duncan coffee. You can’t believe how well things are going. A few months back you had to interview potential new employees at a Shipley Do-Nuts and now you have a real office! What’s more, you have a stellar team that’s proven themselves! But as you walk into the office one morning you notice they’re all overworked, as are you. That’s when you remember something from your Shipley Do-Nuts office days-their coffeehouse menu has large to-go servings! How large? One, or even three gallons of locally roasted coffee from Duncan! That’s more than enough coffee to perk up your team and let them know you care! 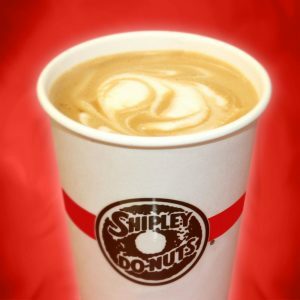 With Shipley Do-Nuts coffeehouse menu you can support a Houston grown coffee brand while you grow your own brand as well. Try Out Our Full Coffeehouse Menu Today! 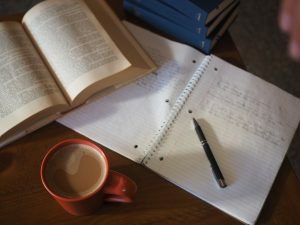 Whether you need a quiet place to edit the next great American novel or just need easy access to espresso while you study, try Shipley Do-Nuts coffeehouse menu today! 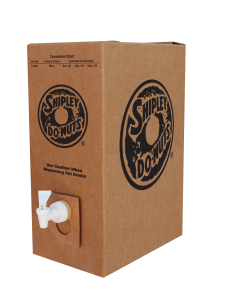 We have two great Houston coffeehouse locations or you can place your coffeehouse order online so Shipley Do-Nuts’ locally roasted coffee can come to you! created some nice methods and we are looking to exchange methods with others, why not shoot me an e-mail if interested. you when you’re at risk to losing treatments for your game. but usually people don’t talk about these issues. I visit every day some web pages and information sites to read articles or reviews, except this weblog provides quality based writing. in our community. Your website provided us with valuable information to work on. You have performed a formidable activity and our whole group will be thankful to you. I’ve a venture that I am just now running on, and I’ve been at the glance out for such info.